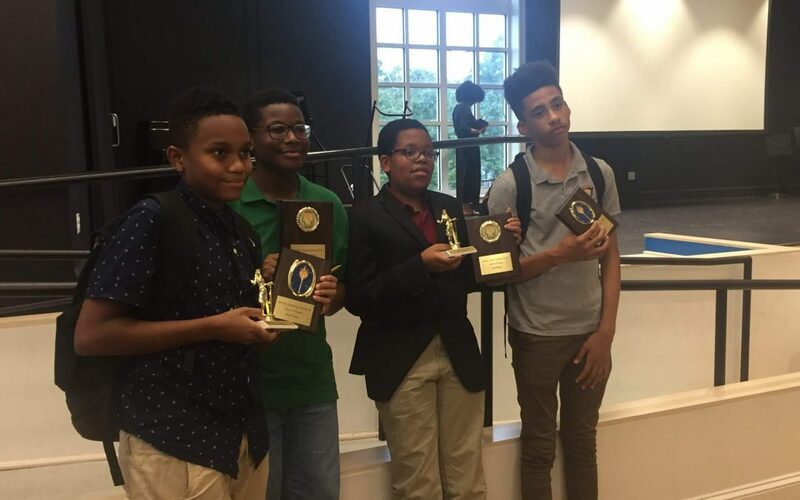 In last weekend competition for the Washington Urban Debate League eighth graders Maxwell Burton and Brandon Souverain earned an undefeated record and took 1st Place in the Junior Varsity Division. Seventh grader Aaron Smith and ninth grader Nassir Purnell Snowden earned 2nd Place. Meanwhile, Maxwell and Aaron took home the 4th and 5th best individual speaker awards in Junior Varsity as well. In Varsity, Jackson Lewis and D’Andre Person took 7th Place overall, and many Latin teams had winning records in the Novice Division. Ms Lee-Bey, Latin’s policy debate coach, plans to hold a topic lecture at Latin PCS featuring assistant coach Jeff Hallock about immigration.